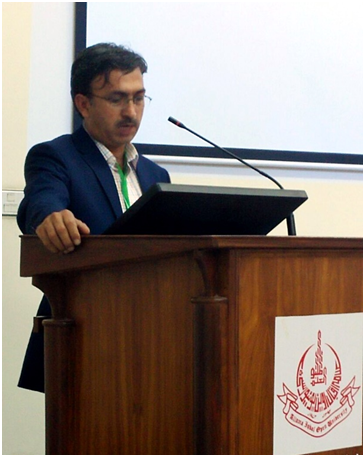 Dr. Naqeeb Ahmad Jan Assistant Professor and Miss. 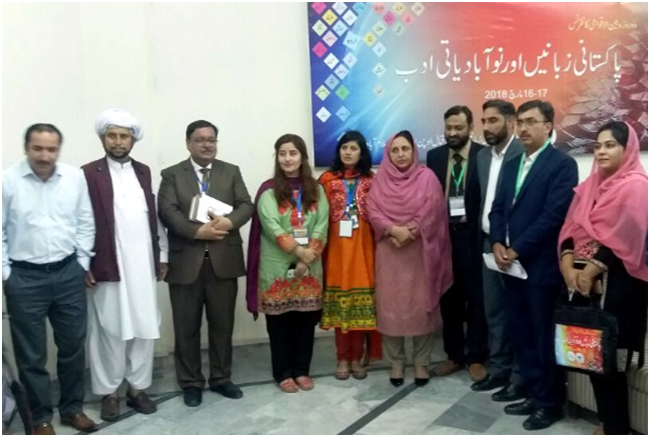 Munaza Mubeen Lecturer of Women University, Swabi participated and presented their research papers in International Conference organized by Allama Iqbal Open University, Islamabad in collaboration with Higher Education Commission Pakistan. 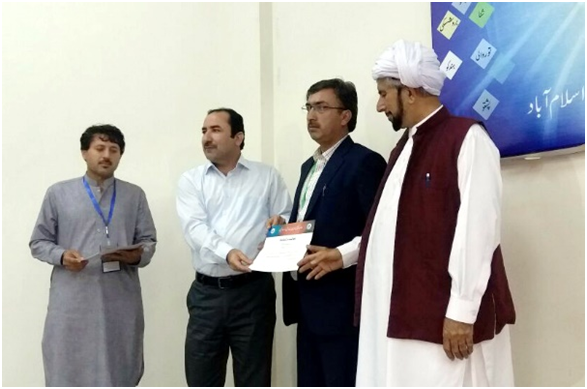 Dr. Naqeeb Ahmad Jan Assistant Professor, Department of Urdu, Women University, Swabi participated in a two days International Conference, organized by Department of Pakistani Languages Allama Iqbal Open University, Islamabad in collaboration with Higher Education Commission Pakistan on 16-17 March 2018 under the theme "Pakistani Languages and Colonial Literature" on behalf of Women University, Swabi and presentedhis research paper under the title "Voices for the Peace in contemporary poetry of Pashto Language". 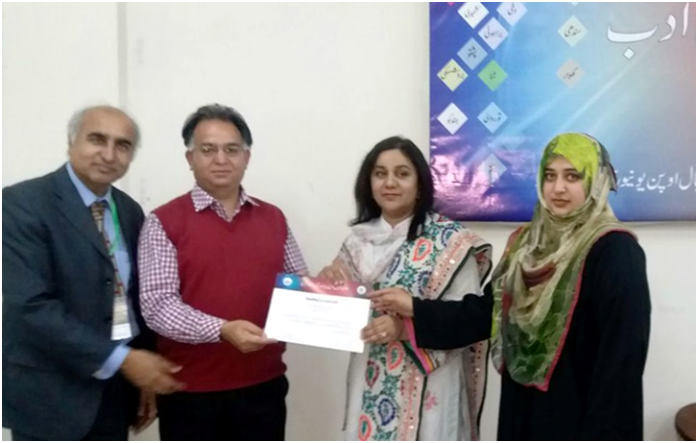 Miss Munaza Mubeen Lecturer in Urdu, Department of Urdu, Women University, Swabi participatedin a two days International Conference, organized by Department of Pakistani Languages Allama Iqbal Open University, Islamabad in collaboration with Higher Education Commission Pakistan on 16-17 March 2018under the theme "Pakistani Languages and Colonial Literature" on behalf of Women University, Swabi and presented her research paper under the title "Colonialism and Urdu Feminist Language and Literature".